A fence can up the resale value of your property as well as give you and your family some privacy, a sense of security, and peace of mind. Installing a fence around your home will also help define your property’s boundaries and keep your neighbors’ pets from doing their business in your yard. Although building a fence entails a lot of hard work and basic carpentry skills, it’s something almost anyone can do. It also requires, however, a significant amount of prep work which involves contacting your local land surveyor and checking your area’s local building codes and ordinances. There are many different types of fences so once you’ve made up your mind on the type of fence you want to build, make sure you have the right fence building tools to ensure you do this project right. A good pair of work gloves is an absolute necessity when you’re building a fence. No matter what type of fence it is that you are building, you’re going to need to protect your hands. If you’re building a wooden fence, then you need to stay safe from potential cuts while cutting the boards. When you’re building a wire fence of any type you also need to keep your hands safe from the sharp bits of the fencing. Luckily, a high-quality pair of work gloves is going to be really easy for you to purchase. You’ll be able to buy gloves that will help to keep you from getting cut. You won’t have to be so concerned while you’re doing your work and everything will go a lot smoother. It makes a big difference when you have a nice pair of work gloves. These gloves don’t have to feel cumbersome to wear either. You won’t lose dexterity in your hands if you buy a good set of work gloves. This will allow you to feel what you’re doing while still staying safe. Don’t be stubborn about wearing gloves because you need to stay safe in order to see the project through to completion. The claw hammer is among the most commonly used tools in the entire world. People use claw hammers for multiple different purposes. They are essential when you need to drive nails into wood and they are useful for pounding things into place as well. You’ll want to own a reliable claw hammer that can help to make your fence building job simpler. If you are building a wooden fence, then you won’t be able to get by without a claw hammer. You are going to need to nail many boards together in order to create the fence. Those who are making wire fences will still need a claw hammer during several steps of the process. It’ll be a very valuable ally that will allow you to get things set up properly. This claw hammer being shown here has a durable fiberglass body. The head of the hammer is made out of steel as you might expect. The handle feels very good to hold and the weight of it is just right. You’ll be able to swing the hammer for long periods of time without feeling too fatigued. As you might expect, being able to make measurements is important when you are building a fence. You need to make sure that the boards are being cut to the proper length. If you’re working with wire fencing, then you want to make sure that everything is spaced out properly. Owning a tape measure is going to make getting the measurements right a lot simpler. Tape measures are very easy to use overall. You can carry them with you just about anywhere. They can fit in a toolbelt very easily and will also be able to clip to your belt loop. You’ll be able to take it out whenever you need it and make some quick measurements. Most standard tape measures are capable of measuring up to 25 feet. There can be some variation between different models of tape measures. This should be perfect for the purposes of measuring your fencing and boards. You shouldn’t start work on your fence until you have ensured that you have the proper measuring tools available. Digging the post holes for your new fence is going to be a significant part of the process. You need to make sure that you have a high-quality post hole digger to ensure that things will go smoothly. You want to dig the post holes to the proper depth that you need them to be. To make this easier, the post hole digger being shown here comes with a handy ruler. You’ll be able to easily determine the depth of the holes that you are digging. So long as you used your tape measure properly to space out the post holes right, you will be on schedule to complete your fencing project. Digging post holes can take a bit of time, but having a good post hole digger will make things a lot more manageable. You shouldn’t have any troubles making use of this fine tool. The handles of this post hole digger are very comfortable. It was made with cushion grips that make it a lot easier on your hands than any other post hole diggers. It shouldn’t be too rough to use this tool for long periods of time, so you’ll be able to get those post holes dug out in a timely fashion. This is an essential purchase for those who are building a fence, so look into buying one of these today. Aside from needing a post hole digger, there will also be several situations where you will need a shovel. You might need to even out certain parts of the ground so that your fence can sit level. You also might need to make some alterations to the post holes that you have dug. Having a quality shovel around is going to be a must when you’re building a fence. Building a fence is about much more than simply nailing boards together and stringing out fencing. You have to prepare the grounds so that the fence can be installed properly. A shovel is going to be one of the tools that you use to get things ready. You will want to have a shovel handy during most points of a fence building project. This is a steel digging shovel that will work perfectly for your purposes. You will be able to use the durable steel blade to dig into the even hardened ground. The shaft of the shovel is made out of steel as well, meaning that you won’t have to worry about bending or breaking this tool. It is incredibly durable and will work to help you dig up ground for many years to come. Wire cutters will be an important tool when you are working with wire fencing. This won’t be something you will use when building a wooden fence, of course, but it will definitely be a useful addition to your toolkit. You can use the wire cutters to cut off the ends of the wire that you are springing up. It will make the clean cuts that you need and will allow you to work faster. Trying to install wire fencing without wire cutters would be folly. You need to have the right implements to cut the wire and other tools just aren’t as convenient for these purposes. Good wire cutters will allow you to seamlessly cut the wire and place it where it needs to be. It can also be important when you need to make some alterations to rolled fencing. Wire cutters are a very affordable tool to purchase. You won’t have to spend an outrageous sum of money on this tool. You can buy wire cutters at any hardware store and even some department stores. Make sure that you get some before you set out on your fence building job if you are using wire fencing of any kind. 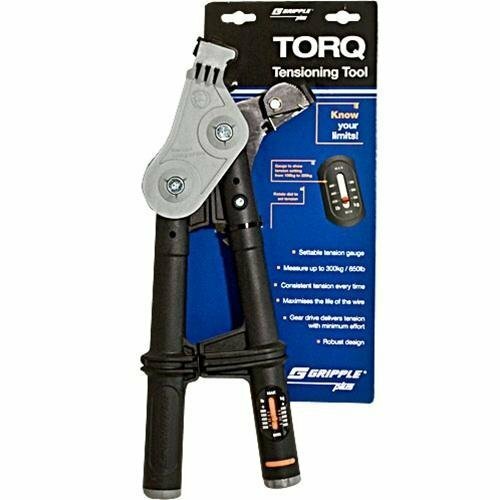 A crimping tool is another handy little implement that you will want to own. When you need to crimp wire fencing into place, it is going to be important to own a crimping tool of some kind. It is actually possible to purchase wire cutters that will double as a crimping tool. This might be the most convenient way for you to take care of your needs. It will limit the number of tools that you are forced to carry around and you’ll have exactly what you need. The wire crimping tool that is being shown here is very convenient to use. It’s compact enough to fit into tight spots and you’ll have an easy time crimping things. The handle of this tool is comfortable, too. It was designed to be as ergonomic as possible, making it simple for people to use it for many hours. The ridges on the handle help you to get the right traction and you will never have a difficult time using this tool as intended. This is a good purchase that won’t break the bank. 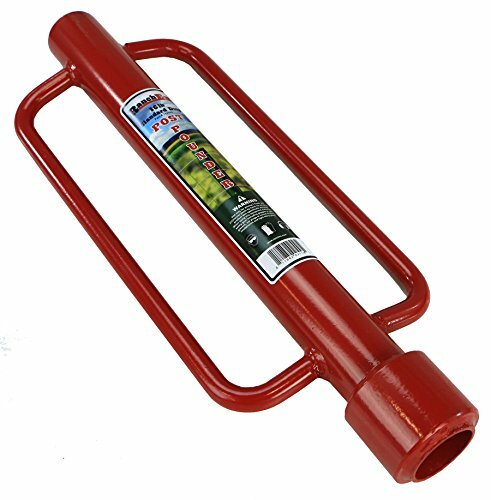 In order to properly drive your fence posts into the ground, you are going to need a post pounder. There are actually several different types of post pounders on the market, so you will want to take them all into consideration before making a purchasing decision. There are manual post pounders and powered post pounders. Most of the powered post pounders run on gasoline and will make driving in posts relatively simple. The problem with gas-powered post pounders is that they don’t run cleanly and they are expensive in comparison to the manual options. In some cases, you will be paying more than three times the price to get a gas-powered model when compared to the manual post pounders. This is a lot more money and you can accomplish the same task as the manual tool. For this reason, many people choose the manual option as the preferred tool for fence building purposes. The tool being shown here is a manual post pounder. It is cost effective and has an eight-pound drive weight. This should make it easy to drive the posts into the ground at the right depth. You’ll be able to set the posts properly and move on to the next step of fence building. This post pounder is corrosion resistant as well, allowing it to last for years. You may want to consider using a gas-powered model if you have a whole lot of fence posts to pound in. This could save you a significant amount of time. You just need to consider what your budget is and how many fence posts you need to drive in. Make the most economical decision that will suit your needs properly. Fencing pliers can make installing wire fencing go a whole lot easier. This tool is specifically designed for the purpose of installing and dismantling wire fences. It will be simple to use and you’ll be able to use this tool for multiple purposes. You will be able to cut wires and you can also stretch them where you need them to be. The tool can also be quite handy for pounding staples and bending wires. 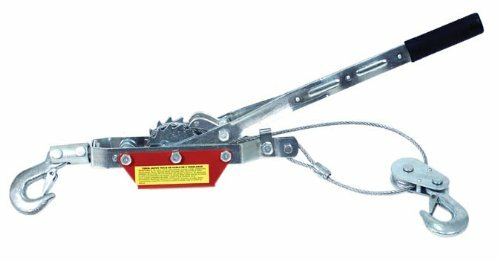 It has a hammer strike face that works great for these purposes, so you might be able to use it instead of a claw hammer for certain wire fencing needs. Extracting and inserting fence post staples will be as simple as possible when you have fence pliers available to use. These fence pliers here are constructed using chrome vanadium steel. They will be as durable as possible so that you can always be confident when using them. You can get by without using fence pliers if you choose to do so, but they can make the job simpler. When you’re building and installing a wire fence, this tool is very good to own. You can use this circular saw to cut any boards that you need to for your fence. You need to have a saw that can make accurate cuts quickly. You could use a handsaw to make your cuts, but a circular saw will be much more efficient overall. You’ll be able to finish up cutting your boards in a timely fashion and will have no trouble staying on task. This circular saw is excellent at cutting 2×4’s. You will be able to use it to help you cut wood for many different projects around the house. For the purpose of building a fence, it will be a valuable companion. You can always keep it handy for when you need to cut some fresh boards. This is also a lightweight circular saw, making it easy to hold and use. The carbide-tipped blade on this circular saw is capable of cutting through many surfaces. You will want to be careful when using the saw and should always respect its power. So long as you are mindful of what you are doing, this will be an excellent tool for cutting boards. Your fence building project will go a lot easier with a cutting tool such as this around. A chainsaw is a tool that you will be using to cut boards or other materials while you are building your fence. Having a good chainsaw will allow you to make the cuts very easily. You can cut through even thick boards with relative ease when you have access to this tool. You will want to exercise caution while using the chainsaw, but it will definitely be worth owning one when you intend to build a fence. The chainsaw being shown here is an electric model that is simple to use. The brushless motor is very efficient and you should be able to get your job done before needing to recharge it. This is also an effective tool when you need to cut branches or trim your trees. You’ll find many uses for this chainsaw, so it’s a worthy purchase. There are also gas-powered chainsaws on the market that have more power than this chainsaw here. For the most part, you shouldn’t require the increased power of these models for the job of fence building. A small chainsaw should be enough to suffice and the electric models are more cost-effective. They also run clean, making them preferable to those who care about the environment. You need to make sure that you have a good tamping tool to use. You must tamp the soil around the corners of your posts properly. If things aren’t properly prepared, then the integrity of the fence will be in jeopardy. This tamping pole is really simple to use overall and you shouldn’t have any troubles getting the soil tamped. One end of this tamping pole features a chisel that you can use to break up the soil. It can even be used to get rid of rocks that are in the way and other types of debris. The other end of the pole will be used to tamp the soil down around the post. It’s easy to understand and you won’t have a problem using this tool to its full potential. 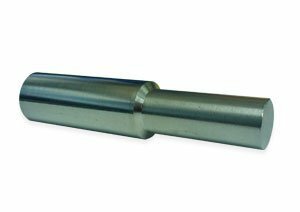 The tamping rod is strong and durable, meaning that you can use it without fear of harming the tool. It is 48 inches long and will give you the right amount of leverage that you need for tamping the soil. It isn’t too costly, so you should definitely purchase one to ensure that the soil gets tamped down correctly. You need to make sure that the fence is sturdy, so you want to do things properly with all of the right tools. If you are building and installing a wire fence, then you will need a fence tensioner. 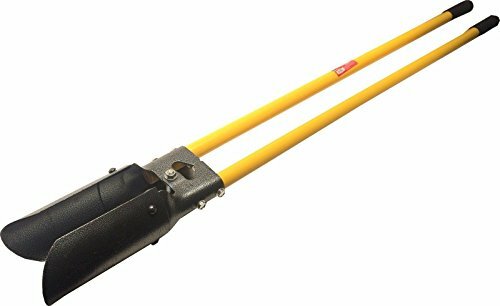 There are many different types of fence tension tools on the market, but this one features easy to use handles. You will be able to grab onto the wire and set the tension to the level that you need it at. It won’t be difficult to do and your wire fence will be ready to be put to use. This tension tool has a built-in gearing system that works quite well. You can get consistent tension every time that you use this tool. This helps to make your fencing consistent throughout the entire length of the fence. You want all of your wires to be set equally, so having a reliable tool such as this one is very nice. A come along is a tool that can be used to help tension a heavy-duty fence. You’ll want this tool in your arsenal if you are building a large wire fence of some sort. This comes along here is a two-ton tool that will work excellently to help tension a fence. It has two different hooks on either side. The lifting capacity of this tool is impressive. It is capable of lifting up to 4,000 pounds, making it a tool that will be useful for both commercial and domestic use. The cable puller can be used for lifting, stretching, lowering, and pulling. This is a tool that will be handy for projects outside of fence building, but it is also an essential tool for this process. Safety goggles are going to be crucial when you are using the chainsaw. They may not be quite so important when you’re working on other parts of this job, but you don’t want to get sawdust in your eyes. Bits of wood hitting your eyes would be terrible and you want to avoid accidents if at all possible. A pair of safety goggles is inexpensive and can prevent you from making a costly mistake. You’ll be able to work effectively while wearing the safety goggles, too. These types of goggles should be worn whenever you are doing something that kicks up dust or could otherwise harm your eyes. It’s always best to take the proper precautions. You’ll be able to get the job done quicker if you don’t have any mishaps. These safety goggles here fit very comfortably on your face. They don’t feel annoying to wear even during a long workday. You’ll find uses for these goggles outside of this job, as they will be important for many DIY projects in the future. Always make sure that you have the proper protection and you will be able to work hard all day.